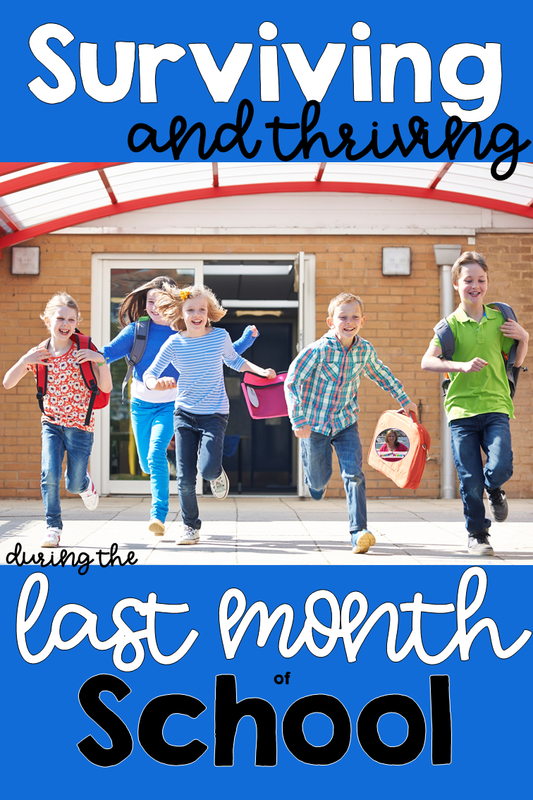 Tips for Surviving the Last Month of School! 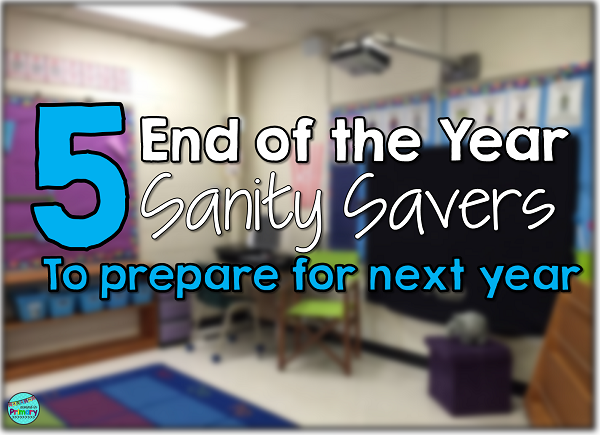 How do you acknowledge the end of the year with your students? Are you feeling the end of year stress set in? Do you have a million things to finish up and submit? Are your students "done" and your classroom is too hot to work in? If you answered yes to any of these, you are not alone. The last weeks of school are a challenge! This post is for you! Read on to find out my tips for surviving this last month of school I promise that it doesn't add to your already full plate and total teacher exhaustion. I know there are teachers out there that prefer to continue following the same routines and the last week of school or so do not look much different. Then there are others that start the year-end celebrations as soon as all of the marking and report writing is over. Where do you fall on this spectrum? Leave me a comment below and let me know what camp you are in! I would love to know. I would fall more on the celebration end of the spectrum, but I definitely don't set aside all of our daily routines and structure. Where ever you fall I am sure these tips and suggestions will help you. This first tip is ALL ABOUT YOU. Check out 5 tips I shared in this blog post to make your end of the year as easy as is possible. Click on the image below to check it out. Once you have your own sanity in check, you can think about having fun with your students. Check out this blog post with 5 suggestions for Theme days that will not be overwhelming to plan and won't break the bank either. They are fun and straightforward, which are two musts for this super tired teacher at the end of the year. Click on the images to check out the post! Let's talk classroom clean up. Do you kids help out in the classroom through a classroom jobs program throughout the year? Mine do and are thrilled when it is their turn to help out with a particular job. At the end of the year, there are LOTS of jobs your students can do to help out. Make a list of jobs to be completed and have them "sign up" to take on that task. 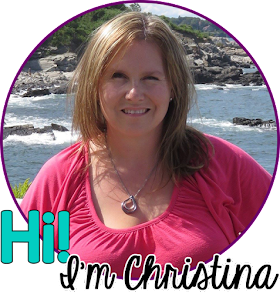 You will be amazed at how quickly you can have your books sorted, markers tested, manipulatives organized etc. Ask your students how they want to celebrate the end of their year together. They may very well have some excellent ideas of how to recognize the end of the year. When I do this, I always set a few parameters. I always say it has to be something we can do in our classroom or on the playground. If I don't, then I get lots of wild and crazy suggestions like going to a water park LOL. See what they come up with. You may be pleasantly surprised. Reflect on your year together! Did you take pictures of activities throughout the year? I am always taking photos to document learning. Print out some of those pictures and have students choose which of the pictures they want to write about. Gather all those photo stories together and create a class book that you can enjoy together. It also makes a great book to share with your incoming class, so they get a taste of what the year holds for them. 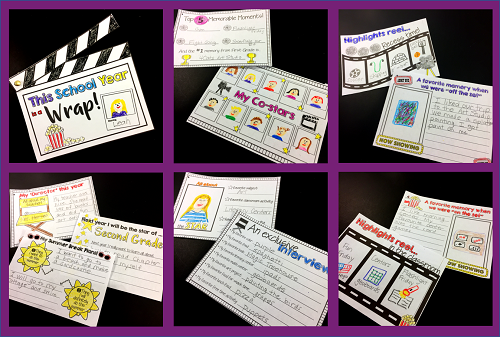 Create your own class memory book to capture all the important events in the classroom. The best way to prep for making a memory book is to look at those pictures mentioned above. 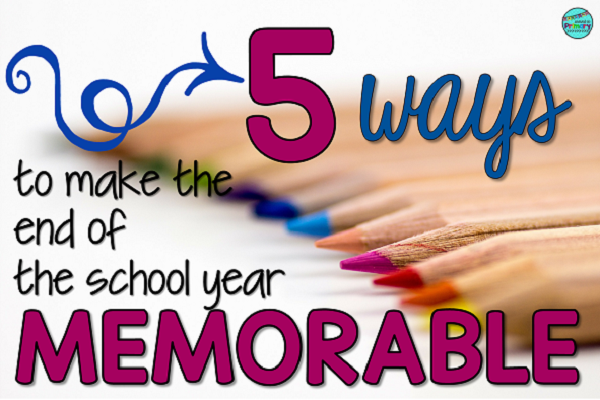 You can also create a slideshow of many of those images to remind students of the many things that happened during the year. This jogs their memory and helps them to record some of those memories in their books. 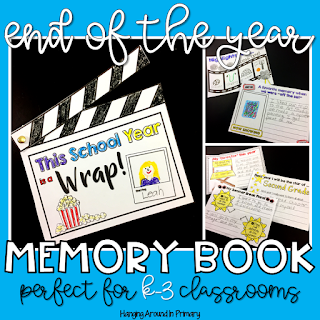 Last year we did this fun movie-themed memory book and my students LOVED it. You can check out some of the pages below. You can take a closer look at it by clicking on any of the images. I hope you found something to take away from this post. 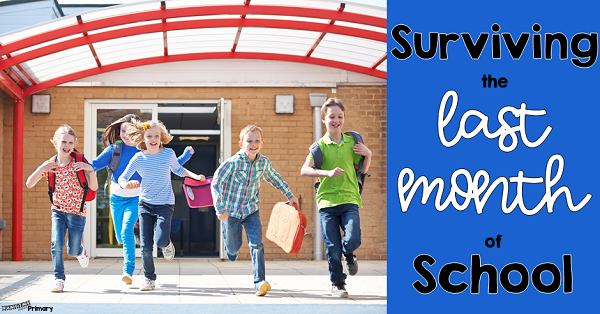 Take a moment and comment below with how you intend to celebrate the end of your school year.